Hello and happy Saturday! 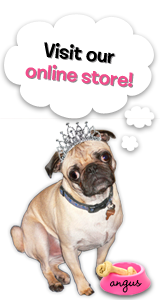 - I'm so excited, as I have a beautiful new stamp set to share with you today from The Rubber Cafe'! It's called Pomegranate Decor, and I haven't begun to utilize this beautiful set. I first made my card, with the holidays fast approaching it's nice to have gift cards and bags, ready to go for that perfect Hostess gift or Thankyou card. I'm using paper prints that are not something I usually go to- they have a a unique look that you would not think of using with this set, but I really loved how this turned out, and by using it in layers, really made the colors pop! I also used it one of my favorite techniques and paper-pieced my Pomegranates and leaves. 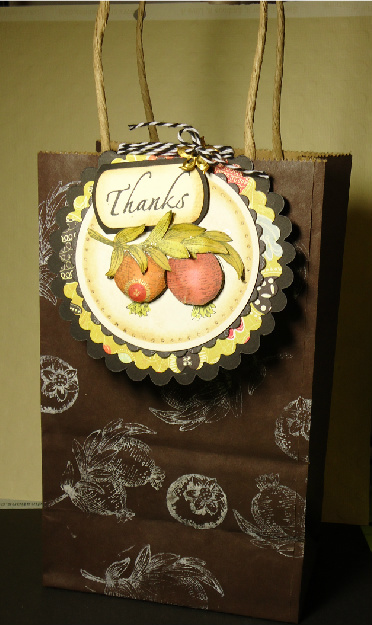 I added some bakers twine, a metal leafy embellishment, and stamped the 'Thanks' from the Fabulous Phrases set to finish it off. 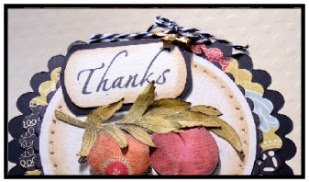 I layered a cream confetti piece of cardstock and stamped the Pomegarnate again in just black ink, leaving enough room for a little note or signature. 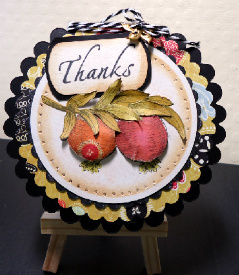 I cut my card and it's layers with Spellbinders' Standard and scallop circles. The base card I cut on my larger scallop sizzix die, by first folding my cardstock, and than placing the fold below the edge by about 1/4 ". This allowed the card to ahve a fold. 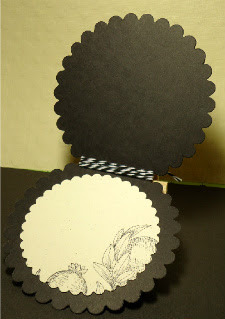 Next I took a black gift bag, and stamped my images using my Cloud White paint dauber. To lessen the starkness, I took a sponge and Distress Ink in Antique linen and went over each of the images. My card can lay in between the handles or be hung off to the side of a handle. That's it for now! Thanks for stopping by and enjoy your weekend! Can never have enough gift bags! Love that the pomegranate set has the cross sections as well as the full fruit. AWESOME! This is such a pretty stamp set!